Associations – SFL Regulatory Affairs & Scientific Communication Ltd.
SFL has proactively supported the initiation of two associations (Medtech & Pharma Platform [MPP] and Rare Disease Action Forum [RDAF]) and acts as secretariat of both, organizing regular events and stakeholder meetings. The International Medtech & Pharma Platform is an association for the medtech and pharmaceutical industries. By establishing a forum for the exchange of knowledge and collaboration in technology and regulatory areas, the association’s aim is to enhance interaction between the two synergistic industries in order to promote product development and innovation. Beyond the international annual conference, the association aims to further strengthen advocacy work for companies to reduce time to market for drugs, devices and combinations thereof, improve access to innovative products, better match patients’ needs and expand business opportunities for both industries. The Rare Disease Action Forum is an association that serves as a platform to exchange ideas and define actions on how to raise awareness of rare diseases and improve access to innovative therapies for patients with rare diseases in Switzerland. The RDAF organizes multi-stakeholder meetings, bringing together experts from companies developing treatments, diagnostics, or providing any related service and additional experts in the field of rare diseases. 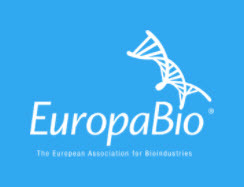 EuropaBio is the European Association for Bioindustries with the mission to promote an innovative and dynamic biotechnology-based industry in Europe. Swiss Medtech represents the interests of the Swiss medtech industry, aiming to maintain international competitiveness, innovative capacity, and strengthen the domestic market.